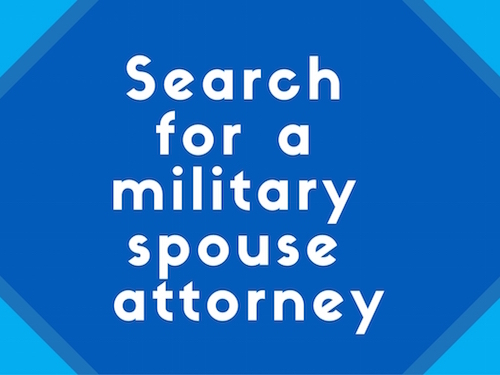 Military spouse attorneys often have to place their own careers on hold as they constantly move around the globe to accompany their servicemember on their military assignments. Too often, dreams of a career in the legal profession are sacrificed when they find themselves in locations that offer few job opportunities for attorneys, or because their frequent moves create resumé gaps that are red flags to hiring managers. To help remedy this situation, the Military Spouse JD Network (MSJDN) created the Homefront to Hired program to connect supportive employers with military spouse attorneys. Each year at the Annual Reception, MSJDN honors an employer that has provided meaningful support for military spouse attorneys through Homefront to Hired. MSJDN is thrilled to announce that this year’s recipient is Prudential Financial, Inc.
Prudential, headquartered in Newark, NJ and one of the world’s largest financial institutions, has been similarly concerned about employment issues faced by military veterans and military spouses. In 2010, the company created an Office of Veterans Initiatives to coordinate and expand the company’s programs to recruit, train, employ and promote talented veterans and military spouses. Since then, GI Jobs magazine has designated Prudential a Military Friendly Employer® for six consecutive years; and Military Times magazine has listed Prudential as a “Best for Vets Employer” for seven consecutive years. And in 2014, Prudential opened a technology and business services center in El Paso, Texas – home to Fort Bliss – where it had identified unique talent opportunities for transitioning military service members and spouses of active duty service members assigned to Fort Bliss. MSJDN member Jennifer Vercellone has five bar licenses and three corporate licenses in states generous enough to allow in-house counsel to practice based on out-of-state licenses. In her 13 years of practice as a lawyer, Jennifer has moved eight times as a result of her husband’s military career. Although she has substantial experience and skills, Jennifer found that her nomadic lifestyle, courtesy of the military, was an obstacle to upward mobility within her in-house counsel career. Last year, through Homefront to Hired, MSJDN member Jennifer Vercellone learned about an in-house position at Prudential. Before applying for the job, Jennifer asked fellow MSJDN member Erin Hennessey Davidson to review her resumé. Erin, who was aware of Prudential’s eagerness to connect with military spouse candidates, did more – she shared Jennifer’s resumé with a colleague at Prudential. Subsequently, Prudential asked Jennifer to apply online for the job and schedule time for an interview. Jennifer says that for the first time in her career as a lawyer, she let go of her fears about explaining the frequent moves evident on her resumé and simply focused on her background, her skills, and what she could bring to the table. Several rounds of interviews later, Prudential offered her a fully remote, in-house legal position. Jennifer has now been working for Prudential since July 2015, as Vice-President and Corporate Counsel in the Operations & Systems Law Section of the Law, Compliance, Business Ethics and External Affairs Department. Her responsibilities include management of a variety of vendor contracts and transactions for the acquisition of goods and services such as consulting agreements, outsourcing transactions, and software license and services agreements. Instead of a traditional office, Jennifer works from a dedicated home office using IT support, office equipment and supplies provided by Prudential. And most important of all, none of this will change with her husband’s next military assignment – foreign or domestic! Since hiring Jennifer, Prudential has posted other positions with the Homefront to Hired program and considers it a valuable resource in seeking qualified military spouse attorneys. Prudential’s flexibility with alternate work arrangements works perfectly with its commitment to supporting military spouse employment. And with its robust legal, compliance, business ethics and government affairs staff, a relationship with MSJDN and Homefront to Hired is a natural. MSJDN is extremely grateful for the support Pr udential has shown for military spouse attorneys and the mission to remove barriers to employment for military spouse attorneys. For these reasons, we are thrilled to present the 2016 Homefront to Hired Award to Prudential as a measure of our appreciation. This award recognizes law firms and organizations that have demonstrated extraordinary commitment to hiring military spouse attorneys. We look forward to an ongoing partnership with Prudential in support of military spouses and their families. Please join us for the Annual Reception on Thursday, May 12, for the presentation of the Homefront to Hired Award and other 2016 MSJDN honors. It will be held at the Association of the U.S. Army in Arlington, VA, and is always a fabulous evening of celebration and networking in support of military spouses in the legal profession! This year is special as MSJDN marks its fifth anniversary and celebrates the incredible changes in licensing and support for military spouse attorneys accomplished in those five years. We look forward to celebrating this milestone with you! Annual Reception tickets and more information are available on the event page.